When taking the route that connects Prudnik and Krapkowice in the western part of Upper Silesia in Poland, it’s a little confusing to come across a refreshment stall and souvenir booth on the side of the road in the middle of nowhere. No doubt intrigued, any traveler may choose to slow down and explore, and if so, notice a sign next to the stalls pointing towards Moszna, a small village in the Opole Voivodeship, 22 miles away from the capital, Opole, and 75 miles from the city of Wroclaw. Take this road and see where it leads, and the traveler discovers a road filled with countless stalls like the first, and only to be met by the sight of a spectacular castle at the end. 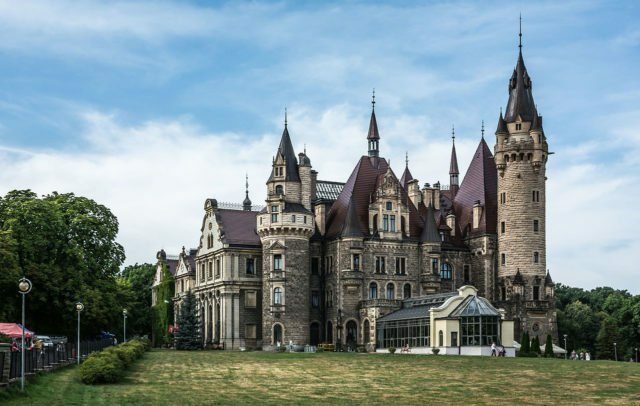 The 19th-century Pałac w Mosznej, or Moszna Castle, is one from which fairytales are made of. And when seen firsthand, such fairytales truly come alive. 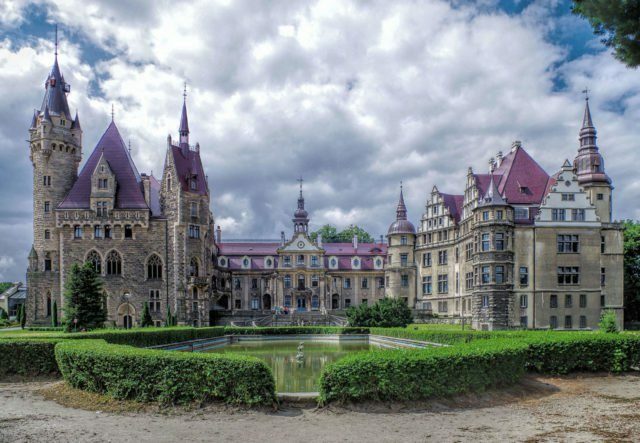 Moszna is a gigantic dreamlike structure spread over 8,400 square yards, an edifice that at first glance, with its grand design and enormity, suggests an English castle from the Elizabethan era. Yet when seen up close, Moszna shows an eclectic style, the result of the place being home to different families, at different times. And with a history dating back as far as the middle of the 17th century, the place has an interesting story of how a castle composed out of three highly different sections, all built in three very distinctive architectural styles, came to look so mesmerizing and eerie at the same time. The name of the village is derived from the surname of a Moschin family who, at the dawn of the 14th century, bought a large estate and moved there. During those times, the village was part of Łącznik parish, one of the church’s many properties held throughout Europe. As the story goes, this family, close to the church, purposely moved there, a village that almost nobody knew existed, to run a monastery and provide shelter for the Knights of the Temple of Solomon. According to local legend, in its early years Moszna was not a castle but a monastery run by the Order of The Knights Templar. This did not last long, as their last leader was burned at the stake in 1314 and the Templars were hunted down, disbanding soon after. However, bearing in mind that all supposed facts from those early days are murky, to say the least, and taking into account that the Order was a secretive organization, this story is hard to confirm. However, investigations that were carried out centuries later found very old cellars buried deep beneath the gardens of the castles, adding a spark of intrigue to a story already rooted in folklore. Whether true or only a sentimental story passed from generation to generation, this legend was of interest to the von Skall family, the first ever formally recorded owners who bought the estate in 1679 and built the foundations of the present castle. 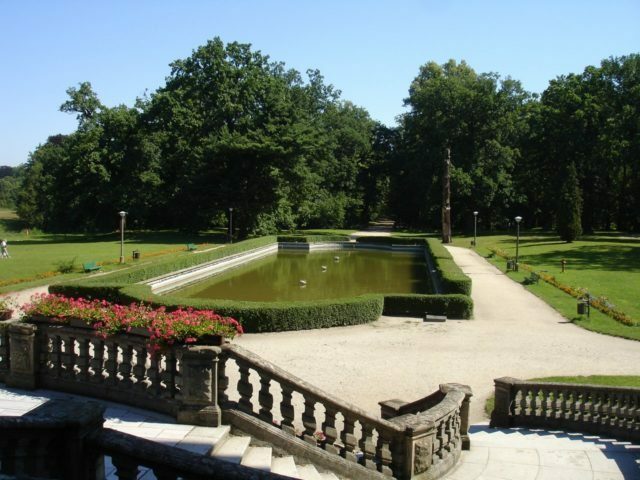 According to historical evidence, George Wilhelm von Reisewitz, Great Marshal at the court of Frederick the Great (King of Prussia from 1740 until 1786), and cousin to Urszula Maria von Skall, the very first owner of the Moszna estate, inherited the place after she passed away in 1723. He began remodeling his newly inherited home to his liking, and in no time an aristocrat inhabited an extravagant castle built upon the grounds where once Templars slept, a story that was sold as such among his friends in the aristocracy. 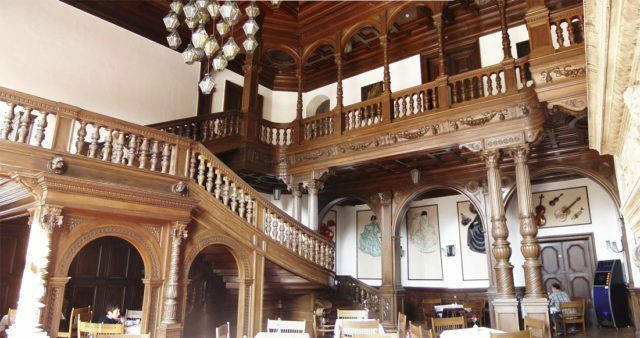 Now, his former home forms the baroque center of Moszna Castle. Jorge Luis Borges, the renowned Argentine novelist, once shared his thoughts on the exuberant style, “I would define the baroque as that style that deliberately exhausts (or tries to exhaust) its own possibilities and that borders on self-caricature. 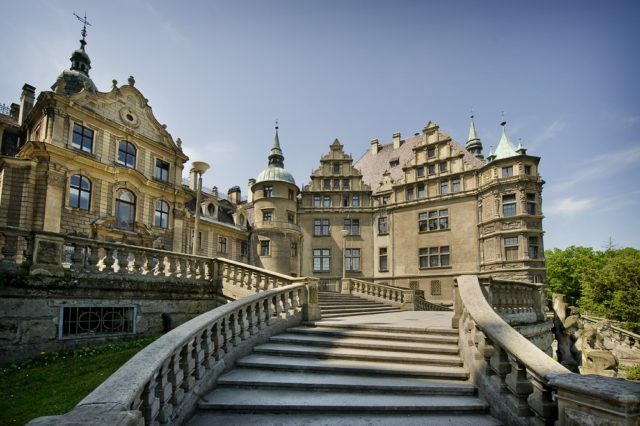 The baroque is the final stage in all art when art flaunts and squanders its resources.” In the same manner, George Wilhelm von Reisewitz squandered his resources, and the von Reisewitz family lost the estate in 1771. Unable to afford its upkeep, they were forced to auction the place. 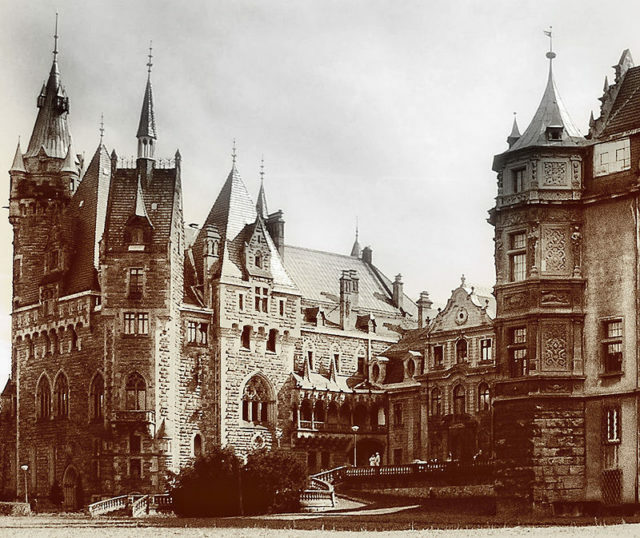 Thus the castle fell into the ownership of Heinrich Leopold von Seherr-Thoss, whose family owned another castle as well as many properties nearby in Dobra village. This family owned Moszna up until another Thoss, Karl Gotthard Seherr-Thoss, sold it to Heinrich von Erdmannsdorff in 1853, who shortly after, for reasons still unknown, sold it to Hubert von Tiele-Winckler in 1866. Prior to that, Franz Winckler, a silver-mine worker in the 1830’s, moved from Tarnowskie Góry to Miechowice to work for a mining magnate who owned almost all calamine mines and zinc foundries in the area. This businessman died, and Franz, a former employee of his, ended up marrying his rich widowed wife, and most interestingly, in no more than a decade ended up being knighted by the Prussian king. In 1854, their daughter, the heiress Valeska, married Hubert, then Hubert von Tiele, and in order to keep the knighthood heritage, both of them decided to use a combined name of Tiele-Winckler. Looking for a new home where they could start a new family, the Tiele-Wincklers stumbled upon the castle. 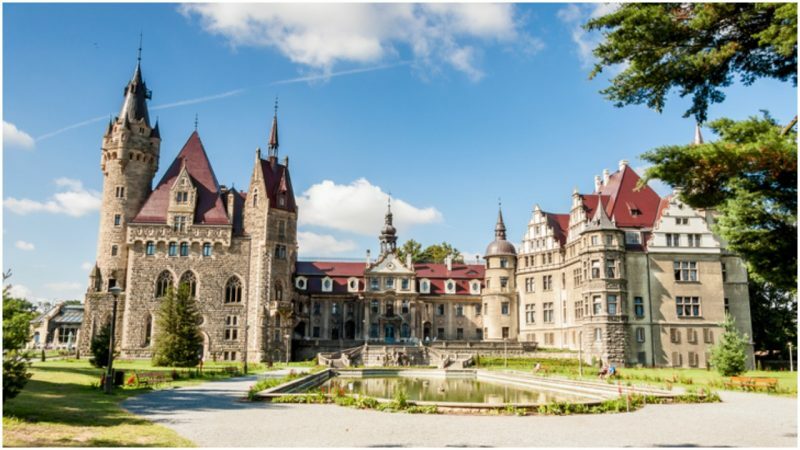 They bought the Moszna estate, had children, and years later, when his father died in 1893, the eldest male child inherited all of their wealth, including the castle. His name was Franz Hubert and he is now credited as the one who during his residence built the castle we see today. Only three years after he became sole owner of the place, part of the castle was destroyed by a devastating fire. This meant a whole lot of rebuilding was needed. During the reconstruction, Franz Hubert not only restored it but expanded the castle to the east in a Victorian Gothic style, which was popular at the end of the 19th century. 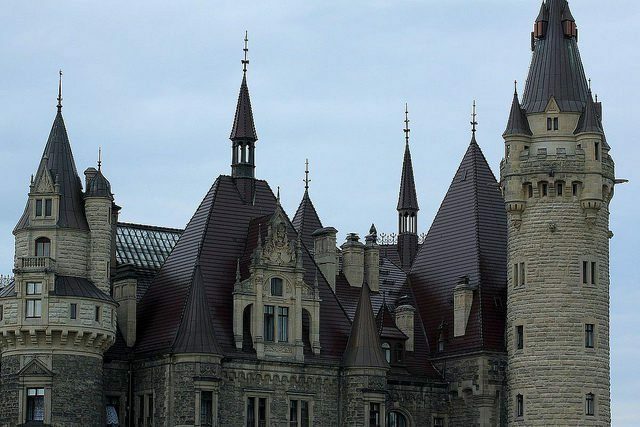 Thus, the Neo-Gothic east wing of the castle was created. 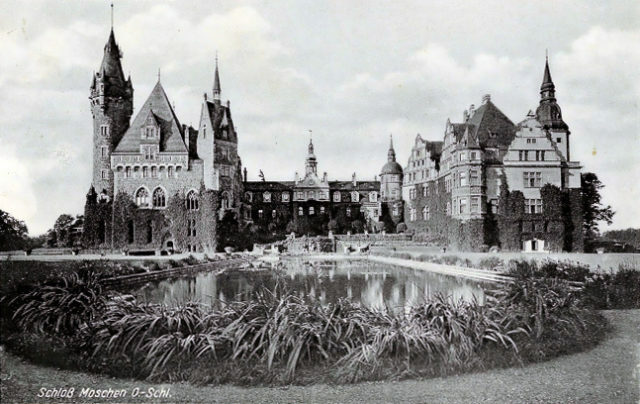 In no more than a decade, the castle had a fully landscaped garden to the front, as well as another wing to the west, built in 1911 in a Neo-Renaissance style to accommodate Emperor Wilhelm II, the last German Kaiser (Emperor) and King of Prussia. A few years earlier, the Kaiser and Franz Hubert had become acquainted, after which Franz was granted the title of earl. As for the Kaiser himself, he got himself a new vacation home, where he soon became a regular. The castle nowadays is more or less as it was when Earl Franz finished rebuilding it, with its 99 towers and 365 rooms. Due to his son’s negligence and tumultuous married life, the family nearly lost the property along with the family’s fortune. 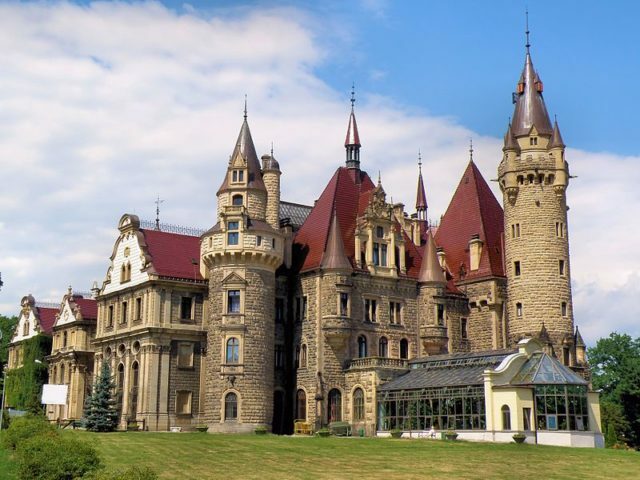 What was left was raided by the Red Army in the aftermath of World War II, leaving an empty and ransacked castle behind. Nowadays, the whole castle is a reasonably priced hotel and is available for anyone wishing to experience its beauty firsthand, along with the history that surrounds the great building. 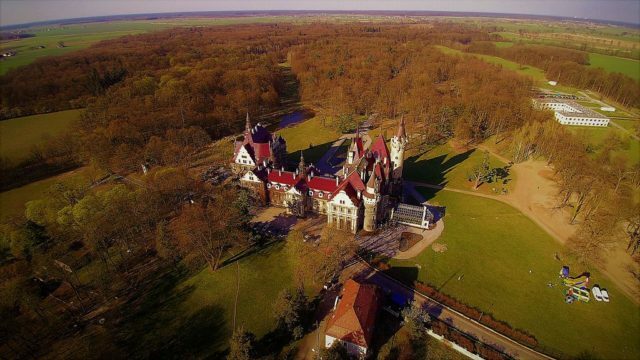 Set in a beautiful park packed with gorgeous azaleas, rhododendrons, and oak trees that have stood for as long as the castle itself, Moszna is a haven for those wanting to get away from it all in stunning surroundings. 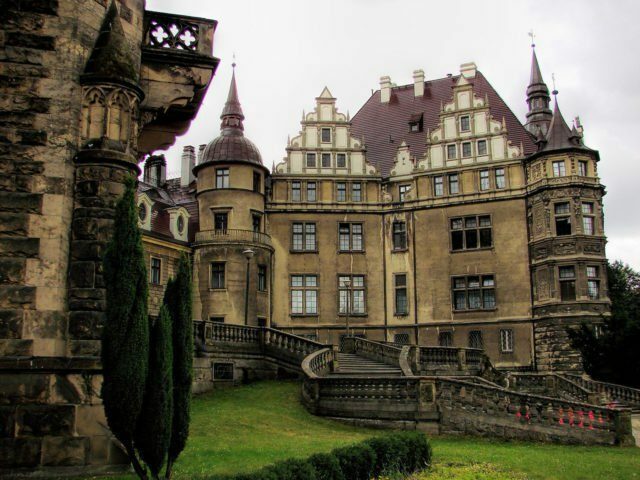 This entry was posted in Europe, History, Poland, Travel, World and tagged Castle, History, Poland’s Moszna by rolyred. Bookmark the permalink.